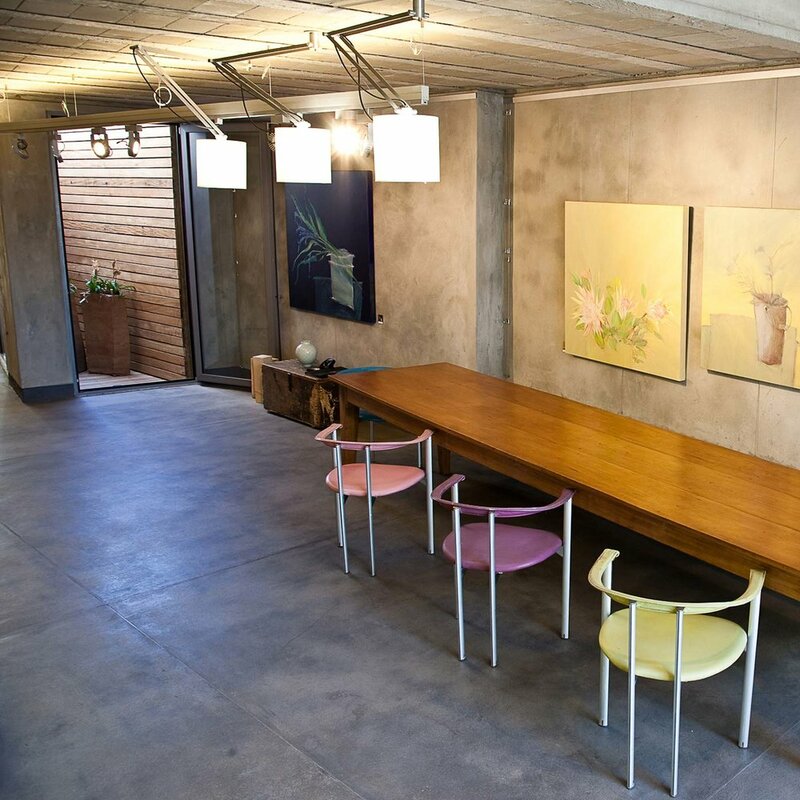 The design of 101 Dorp Gallery & Studio was mainly driven by the need to conserve the historical significance of the site. The building does this by assuming a modest position in the historical Dorp Street scape. The new double story facade is half hidden behind an ancient oak tree and its timeless aesthetics allows it to blend with the historical buildings on either side and across the road. The street facade is punctured by a high, carefully proportioned gateway opening, taking its reference from the neighbouring historical buildings. The tall, frameless glass doors in this gateway ensure constant visual interplay between Dorp Street activities and the gallery space. 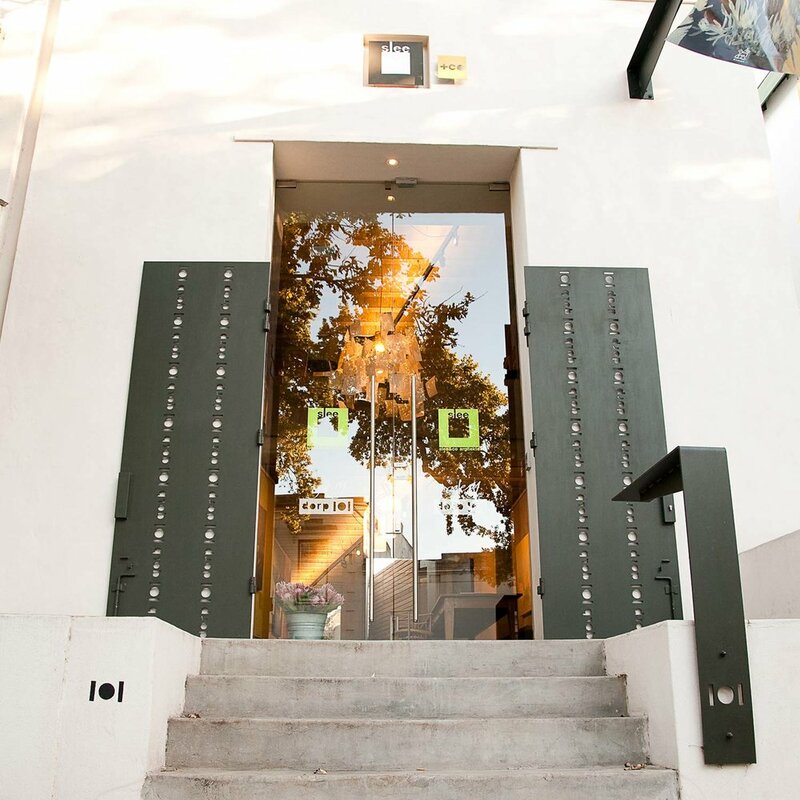 The 'heritage-green' laser-cut steel security gates also take their reference from similar 'waenhuis' doors in Dorp Street.